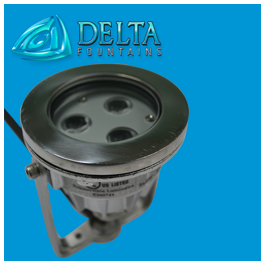 Delta Fountains uses the bronze Junction Box for connection of supply cords from underwater fountain fixtures and conduits. 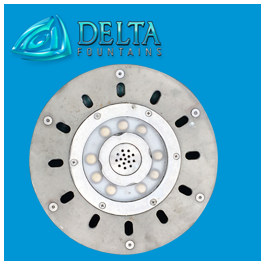 These fixtures include neoprene gaskets, internal ground lugs, and stainless hardware. 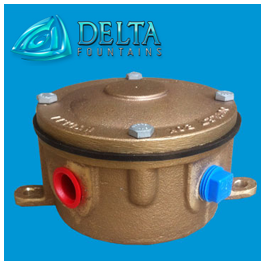 All Delta Fountains’ junction boxes are cast bronze constructed and can be fabricated to be circular or square, depending on your need. 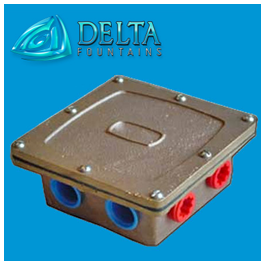 Delta can manufacture these boxes in a variety of sizes. 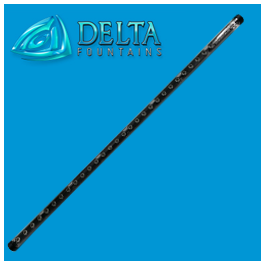 To view other styles of this product, click here. 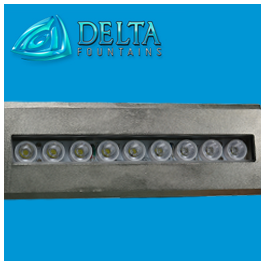 For more information about which style is best for your water feature, contact us today.